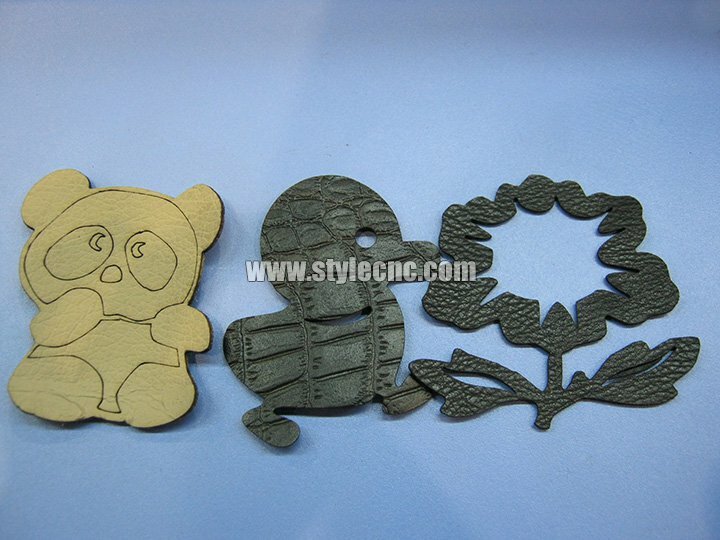 Laser cutting is done by high temperature process. It can make cut edge to close up automatically. Hence, no need to recut the patterns after one-time cutting. 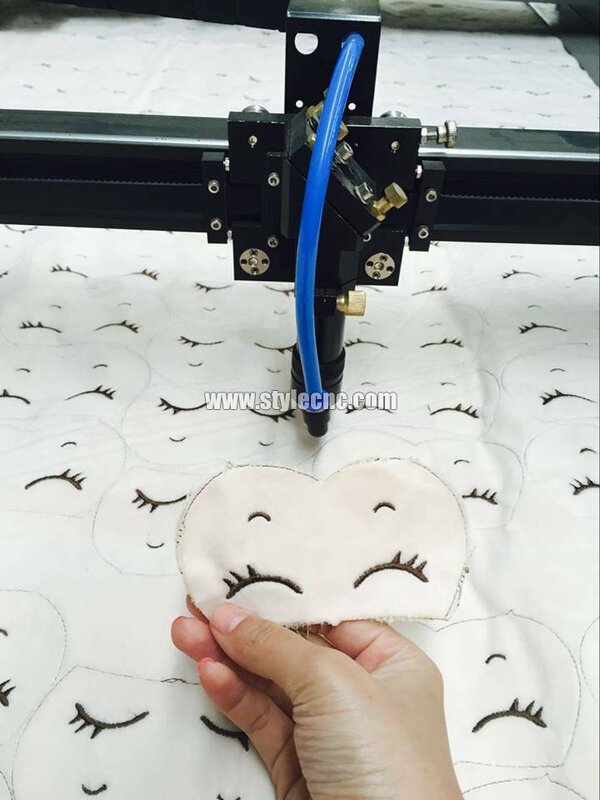 In the process of cutting, laser dose not touch the processed fabric, but laser beam works on the fabric. 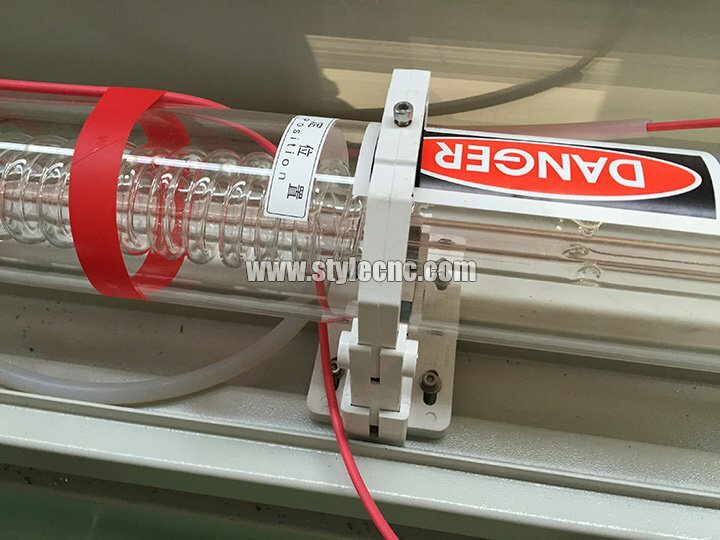 Diameter of the laser beam can be focalized into 0.1mm (we adopt top lens imported). Cutting is done exactly according to uploaded graphics through computer control. 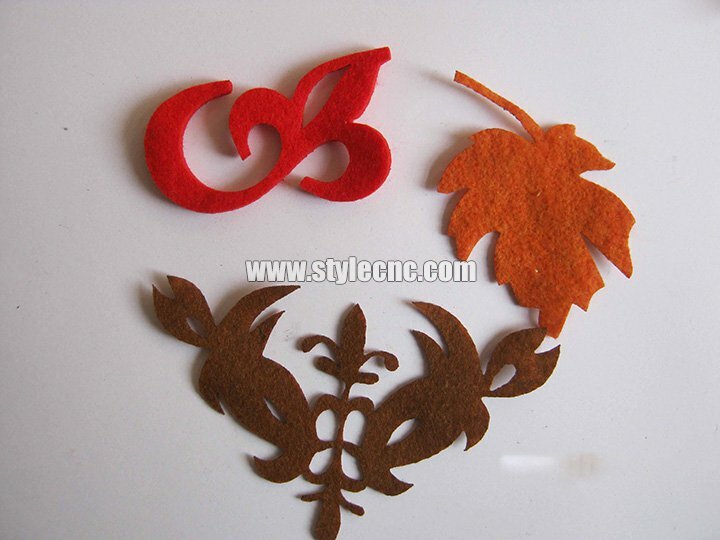 Just upload the graphics into the cutting machine and laser will cut fabric into shapes as designed. 1. 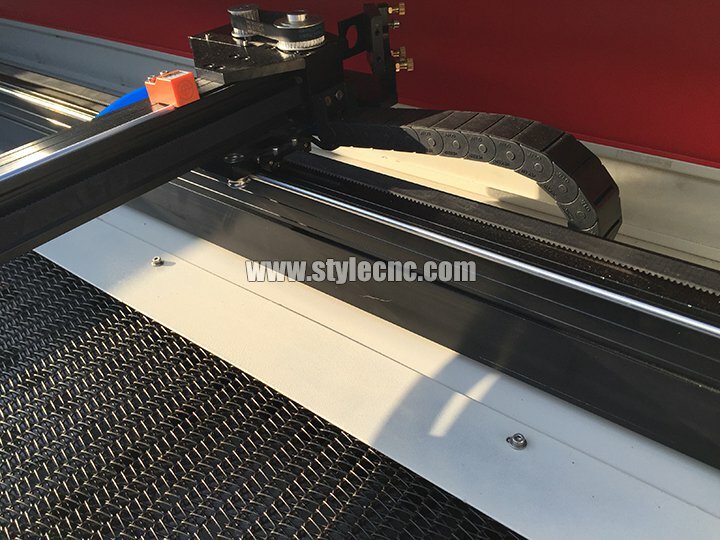 The rolls of the laser fabric cutter are able to roll up the large material automatically. Improve the working efficiency greatly. 2. 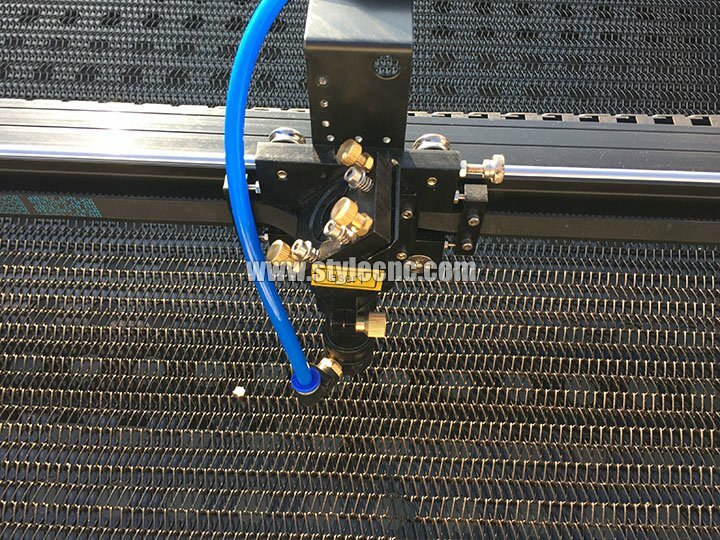 Adopt high speed Linear motion guide, ensuring the laser head is moving smoothly, fast and stable. 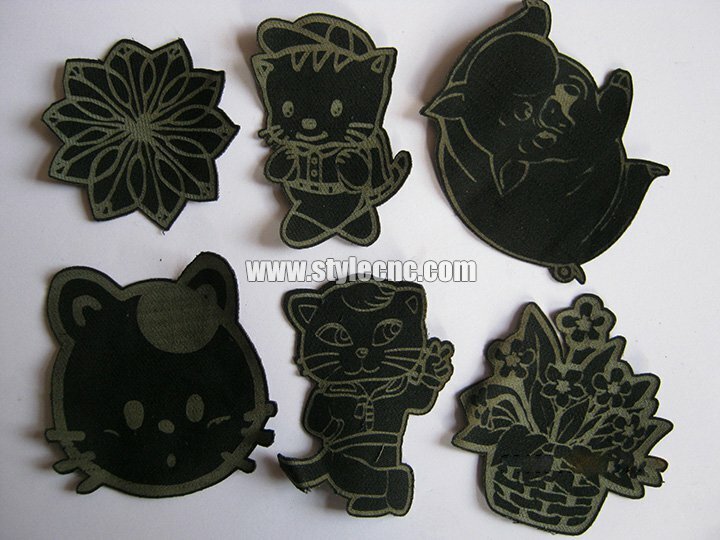 Small cutting kerf, high cutting speed and accuracy guarantee the equipment’s precision and lifetime. 3. 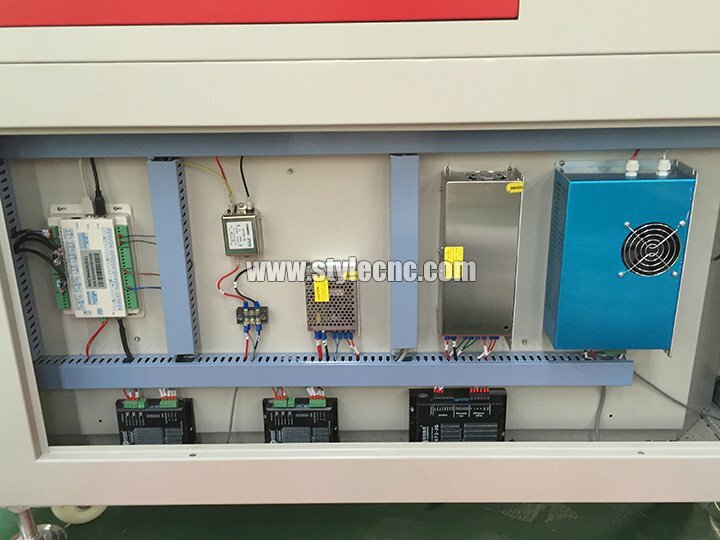 Ruida control system with professional motion control chip in it,has the function of consecutively. High speed curve cutting and the shortest path selection, which largely improves your working efficiency. 4. Scientific ventilation equipments, high power exhaust fan and strong honeycomb worktable play a vacuum adsorption, which can make the soft material very flat. 5. 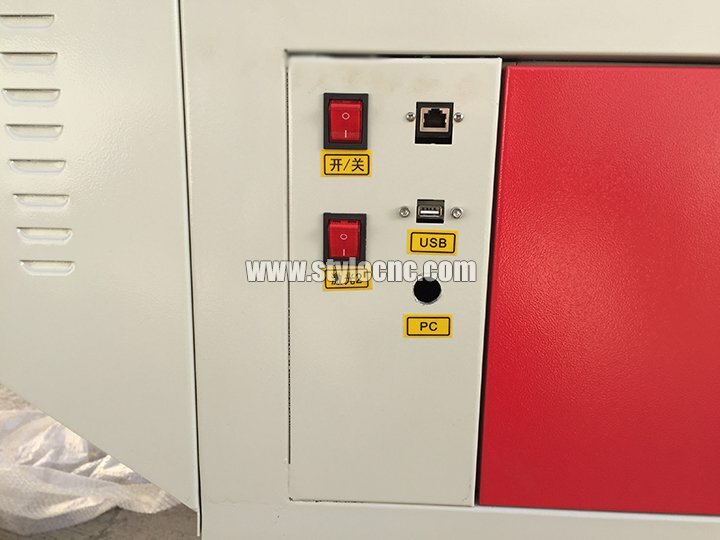 All the machines are equipped with USB offline control system, which makes the operation more convenient and faster. 6. 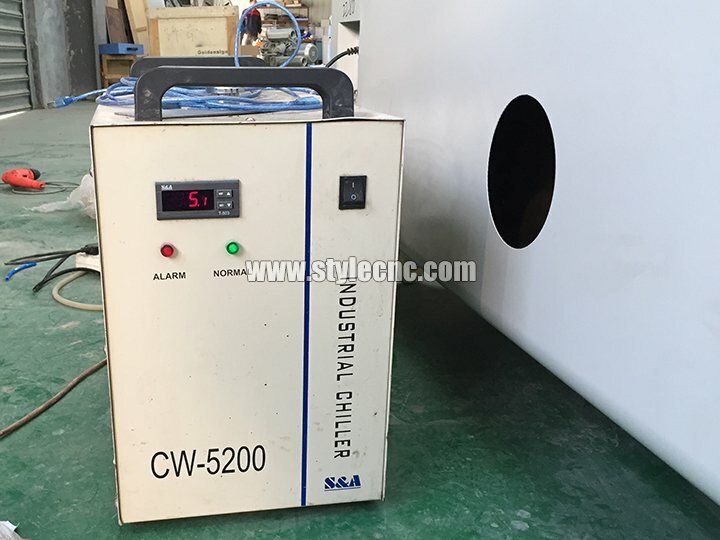 The Industrial chiller CW5200, ensuring the Co2 laser tube long time continue working. 4. Spare parts are imported and more durable like the mirrors and lens, rails, motors, etc. 1. 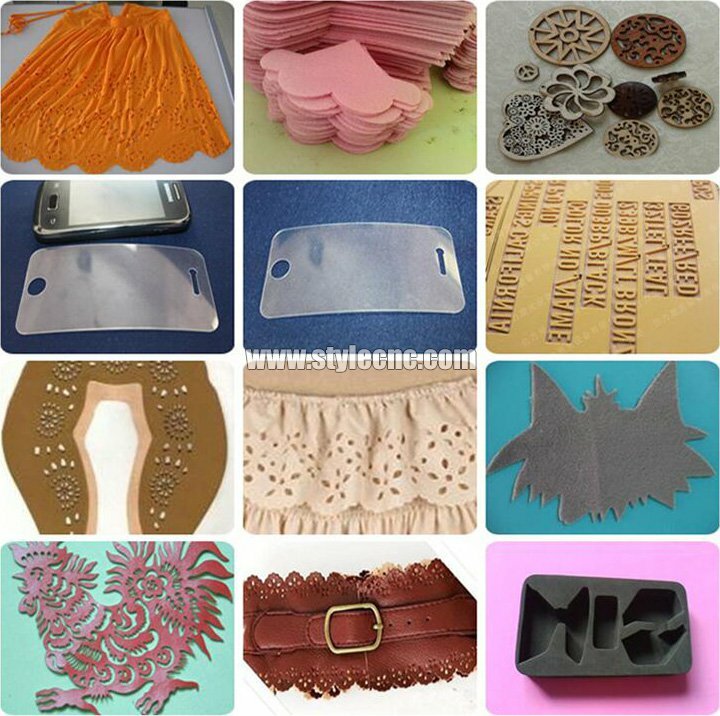 Industrial textile: filter cloth, bolting cloth, filter fabric, nonwoven, glass fiber, felt, synthetic fibre, fabric ducting, polypropylene (PP), polyethylene (PE), polyester (PES), polyamide (PA), cement packing, geotextile, coated fabric, PVC fabic, sponge, insulating material and other industrial flexible materials. 2. 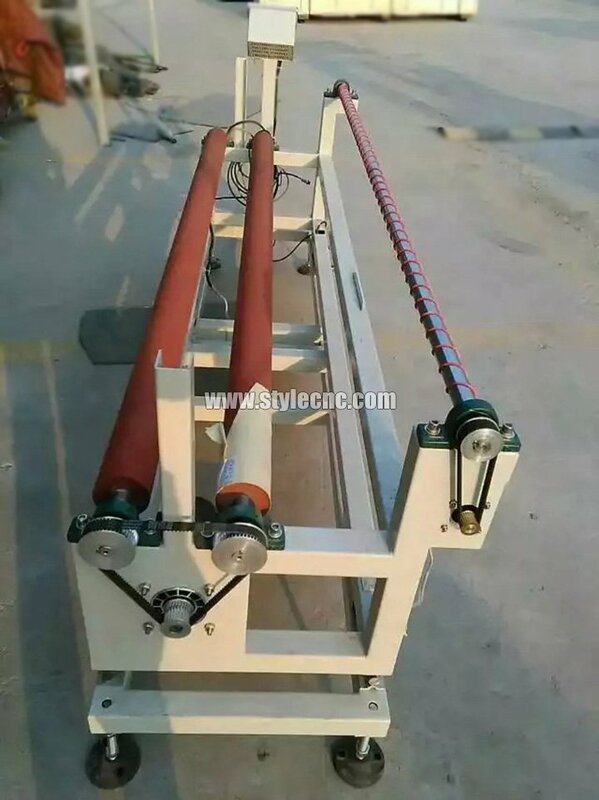 Non-woven fabrics for health & medical: insulating material, glass fibre, polyester fibre, Microfiber, Cleanroom Wiper, Glasses cloth, Micro-fiber Wiper, non-dust cloth, clean wiper, paper diaper, etc. 4. 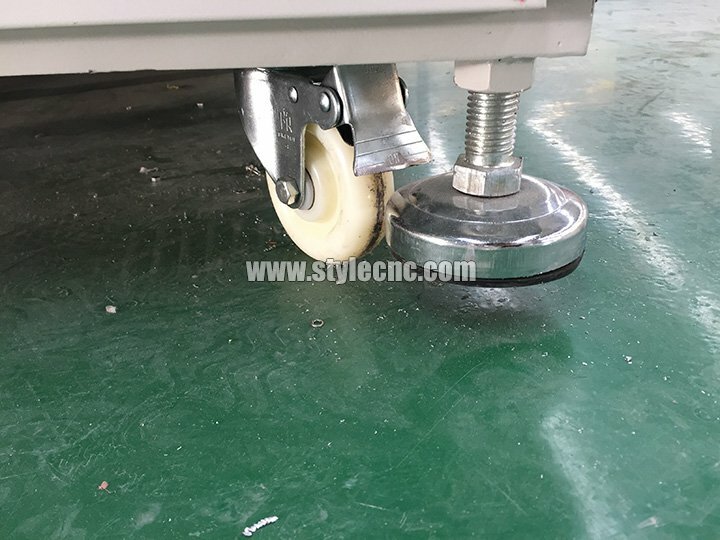 Garment fabrics: sportswear, swimwear, diving suit, exposure suit, liner, lining, adhesive interlining, wadding piece, case-hardened cotton, synthetic leather, genuine leather, etc. 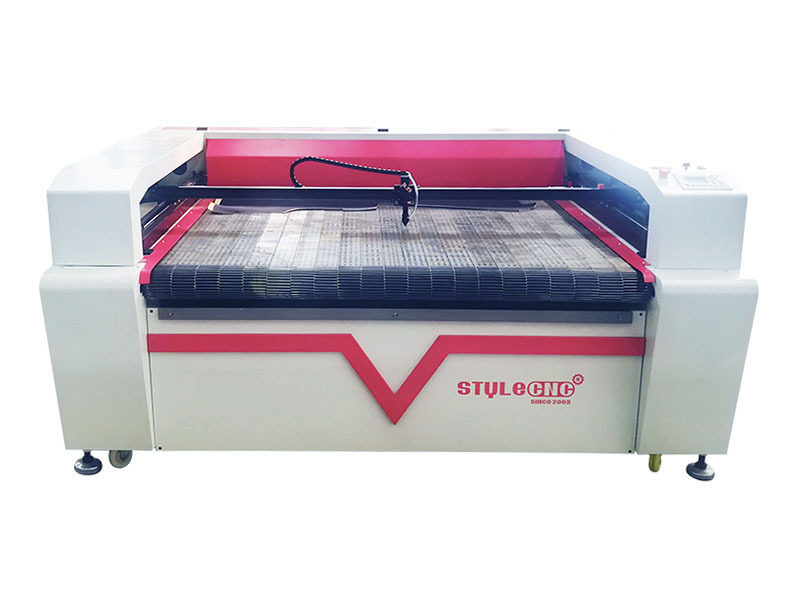 License: The text of "Laser Fabric Cutter with Automatic Feeding System" by STYLECNC is licensed under a Creative Commons Attribution 4.0 International License.